How to plan a romantic getaway to Dalat? Weekend trips or short getaways just need a little preparation. To make the most of your precious time together you will need to research hundreds of websites, forums and blogs. To help you plan what to do, where to eat, where to stay and what should be the highlights of your trip, I offer some advice to help inspire your creativity and passion. Dalat is called the “city of flowers” because you will find more flowers and trees than people. For those living in southern Vietnam, Dalat makes an excellent place for a laid-back vacation. A good way to mentally get away from the hustle and bustle of daily life and get your heads in a good space is to keep your phones off. Don't make excuses to check your phone, emails or social networks as these are unnecessary distractions. Turn your phones off and keep them off. A simple breakfast in serene surroundings can create a perfect start to the day. Dalat will enhance your breakfast with gentle breezes and the mellow golden light of early morning, enhanced by the delicious scents of the various flowers that adorn most of the premium hotels' food squares or restaurants. Local Insight:Have breakfast and enjoy each other's presence and love with a peaceful lake view at Thanh Thuy - Blue water although sometime extremly crowded. Local Insight: Check out Dalat attractions carefully to know whether your plans are achievable to avoid disappointment. Langbiang mountain and Tuyen Lam lake are worth trying. Take the time to do a lake walk, take in the flowers or simply stroll hand in hand through the streets. Try to catch a sunrise or a sunset in a scenic place. Your main priority is to relieve your partner's anxiety and indulge him or her in a whole different world. Keep in mind that you both want to enjoy Dalat to the fullest, before leaving. Local Insight: The renowned Ho Xuan Huong lake is good for a walk as you can taste some street foods at the Dalat market nearby. Besides, The Flower Garden is a romantic place to visit too. A short holiday is a good way to catch up on each other’s lives. It is good time to remember when you first met, the early days of your love and how you felt about each other. Sometimes, just sit and enjoy the silence or do your own things. You can listen to your favourite music you while your partner reads quietly. The most important thing is to be together. An abandoned waterfall in the Central Highlands, Bo Bla comes to life after dark. Lanterns, floating in the mist, are lit by ghostly theme-park attendants, and the transparent forms of spirits and apparitions flood in from the jungle to indulge in a night of bathing and cleansing in the mineral-rich waters of the cascade. At least, that's what I'd like to think happens at this beautiful but decaying waterfall-tourist-park in Lam Dong Province south-west of Nha Trang. In my imagination, Bo Bla is the nightly scene of Vietnam's own Spirited Away-style bathhouse. 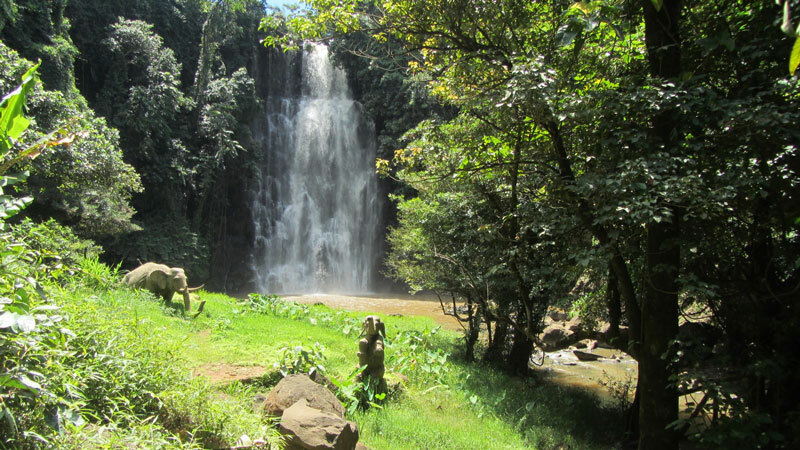 Not long ago, Bo Bla Waterfall was a major draw for domestic tourists. But, for several years now, it's been left to decay, and the site is rapidly being reclaimed by the jungle. Crashing 50 metres over a rocky ledge, splitting a coffee plantation in two and falling into a misty abyss where ancient gnarled trees reach up as if trying to catch a breath, it is one of the prettiest and most impressive cascades in the Central Highlands. But the tacky tourist infrastructure, once built to accommodate and entertain the crowds, has been abandoned. "Two more kilometres on the right", says a kindly older woman when I stop to ask for directions. "One hundred metres on the right", says a young man, cigarette dangling from his mouth. "It's back that way, about two minutes", says a girl in blue uniform on her way home from school. That's the thing about Bo Bla Waterfall: everyone knows where it is, but no one actually seems to go there anymore. The entrance to Bo Bla, when I eventually find it, is an overgrown parking lot by the side of National Highway 20, the main road between Saigon and Dalat, near the town of Di Linh. In fact, there's a sign in big capital letters announcing 'BOBLA', but it's hidden behind weeds and epiphytes that have formed a web of roots around the lettering. Many of the waterfalls in Lam Dong Province, especially those close to Dalat, have been turned into kitsch, heavily commercialised tourist attractions, overrun with visitors and trinket shops. 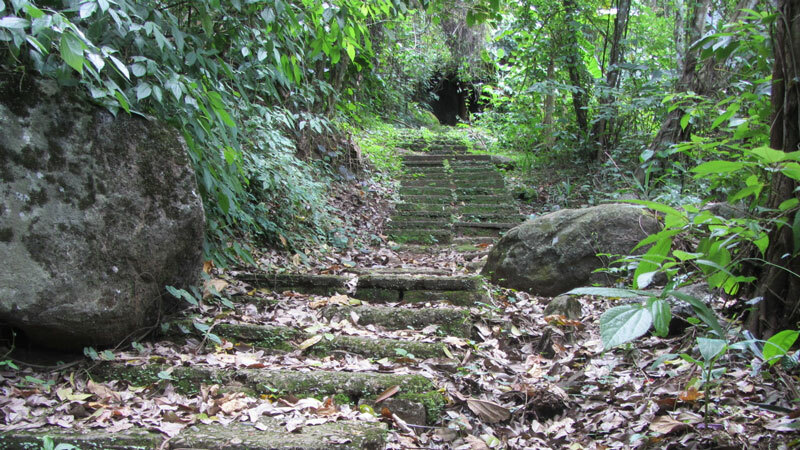 Bo Bla, however, which is a good 90-minute drive southwest of Dalat, is one of the most attractive cascades in the region, and, although it was turned into a Disneyfied tourist attraction, it's now been completely abandoned and left to decay. And this, in my opinion, is a good thing. The abandoned theme-park feel adds to its appeal: there’s something of the magic and mystery of Spirited Away about this place, and all the kitsch decorations look much better with age and neglect. The concrete elephants, for example, bathing in the pools of water at the bottom of the falls, cease to be tasteless man-made additions; they are, in fact, petrified gods, turned to stone (well, concrete) during the daylight hours, only to come alive again during the nights: like Bilbo's three trolls in Tolkien's The Hobbit. At one time, the parking lot would have been full of coaches, disgorging hundreds of visitors; now it's home to a healthy population of birds, frogs and cicadas. A brick-and-concrete kiosk, designed to look like a log cabin, lies empty, full of broken glass and bat guano. Some half-hearted attempts at graffiti decorate the walls. Beyond the entrance gate (entrance is free these days) a moss-covered pathway of paving stones leads under a dense canopy of tropical trees. "Drink some rice wine with us!" shout a couple of teenagers smoking and drinking under the trees. I decline, saying I'm headed for the falls, and they point me down the path into the valley. Along the way, I encounter several other groups of local teens, all crouching in quiet, secluded corners. Bo Bla's state of abandonment appears to have made it popular for Di Linh's bored youth, getting kicks from their drug of choice or ‘courting’ in the bushes. The pathway, strewn with fallen leaves and streaked with mud, drops steeply down through a long tunnel of foliage. It’s so unkempt that the path often appears to peter out completely into the jungle. Spray from the falls lifts up from the valley floor, making the humidity unbearable. Walking in my old flip-flops I may as well be wearing skates, and it's not long before I fall on my backside in the mud. The waterfall, not yet visible, is already audible. Many centuries ago, this region was part of the Kingdom of Champa. The Cham officials demanded local people pay tribute to the king. Forest commodities, such as exotic woods, wild animals and rhino horn, were gathered to pay this royal tax. Most precious of all was elephant ivory. One day, a local man came across a pair of enormous ivory tusks at the top of the falls. 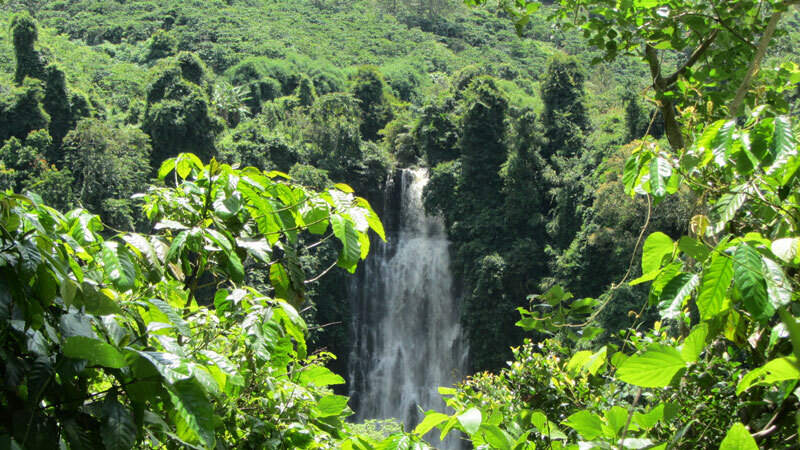 The Cham king was so impressed that he named the waterfall “Bo Bla”, meaning 'elephant ivory' in the local K'Ho dialect. Many of Vietnam's natural attractions have folktales related to them and tend to be a mixture of history and myth. Each time the story was told to me, people prefaced it by saying, ‘Người ta nói…..’ ('People say.....'). Spurred on by the dramatic noise of the waterfall thundering in the valley below, I walk faster, ignoring the perils of wet mud, and trying not to notice the carelessly discarded picnic trash strewn over the pathway and left on the stone tabletops dotted among the trees. But even the litter is starting to fade back into the jungle as nature reclaims this scenic area. And it's easy to forget the trash when you see the waterfall: a perfect, vertical ribbon of white water flowing over the top of a small opening in the foliage and falling in velvety streaks into a circular lake below, creating a blizzard of white spray that hangs in the lush valley. A wide pool at the base of the falls is good for bathing, watched over by the surreal concrete elephants, some with broken tusks. The dilapidation of the tourist infrastructure here is in stark contrast to the vitality of the falls themselves, which pound the volcanic rocks on the riverbed as they have done for millennia. Bo Bla waterfall is on National Highway QL20. It's 6km west of Di Linh, 80km southwest of Dalat, and 215 km northeast of Ho Chi Minh City. Saigon-Dalat buses can drop you at the entrance to the falls. Or, if coming from Dalat, take one of the Dalat-Di Linh-Bao Loc local buses. From Di Linh you can find a xe ôm to take you the last 6km to the falls. Excellent-value accommodation is nearby in the form of the secluded and peaceful Juliet's Villa Resort ($20 a night). Dalat Vietnam is often described as a slice of Europe in Vietnam’s central highlands. Mild temperatures, attractive colonial gardens, lakes, rolling hills and the oldest golf course in the country make it popular with travellers today. Dalat’s waterfalls and lakes are famous. Most impressive is the 30m Pongour Waterfall. Located 45 km from Dalat, the waterfall is a slight vertical hike and due to an upstream dam, flow has unfortunately slowed to a trickle. Nonetheless, in the dry season, the bird’s eye vistas from the cliff are vertigo inducing. Don’t forget to check out the Crazy House, Emperor Bao Dai’s summer palace and the XQ centre and village. Linh An Pagoda, 30 km outside of the city, is a quiet temple nestled in a mountain hamlet that houses one of the region’s best known treasures: a massive, smiling Buddha. For a change of pace, explore the area on two wheels with Easy Riders, guides that take you around on motorbikes. Meet them at 66 Truong Cong Dinh and ask for Rocky. Feeling vintage? Visit the railway station on Quang Trung Street to catch a train from Dalat to Trai Mat. A round trip ticket will cost you VND72,000 per person, and capturefor yourself the feeling of 1930's travel on one of the oldest trains in Vietnam. The city’s market is worth browsing for its Dalat wine, preserves and candied strawberries. For the tea connoisseur, make sure to try the locally brewed artichoke tea which is known for its slightly sweet, smooth flavour. Don’t skip the second floor when you’re venturing the market, as it houses food stalls that make for tasty and cheap meals, including Dalat’s very own artichoke soup. In the evening the roads around the market are closed off and the festivities spill out into the streets. Dalat Palace Golf Club is home to the oldest and perhaps most beautiful course in Vietnam. The course is almost deserted during the week so take your time to sink that perfect shot. Going forward, Dalat’s focus will be on developing tourism experiences that take advantage of the region’s topical features including eco tourism to maximise the splendour of the surrounding forests and adventure tourism such as mountaineering, parachuting and mountain biking. There were once real swans in Xuan Huong Lake, but they were all killed for food sometime during the Second World War. Dalat is the only city in Vietnam that began from nothing, and was built by some of the modern world’s first true city planners. Dalat was partly modelled after the French city of Le Touquet, where Emperor Bao Dai spent much of his time before returning to Vietnam. 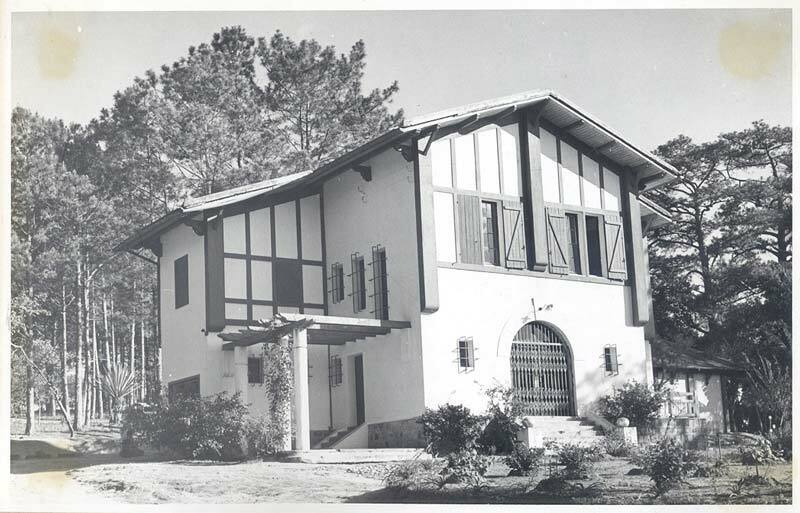 The villas that are now part of Ana Mandara Villas Dalat were once homes for French teachers from the 1950s to the 1970s. The below pictures were given to Antoine by Archives Nationales, the colonial archives of France, in 2003 and 2004. The chicken church has a rooster on its spire because at that time most churches in France had chicken-shaped weathervanes. The Dalat Palace Hotel was built with the help of elephants. The oldest city area in Dalat is Ap Anh Sang, where all the people forcibly relocated from Hue to Dalat lived. French doctors treated the Viet Cong during the American (Vietnam) War. 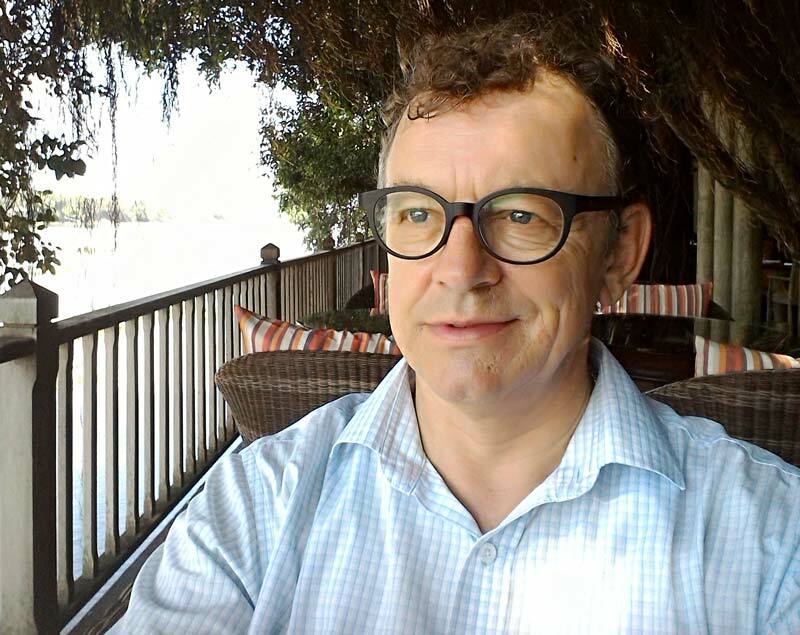 Antoine was the general manager of the Dalat Palace Hotel from 2002-2008. He has been in the travel industry for over 30 years. 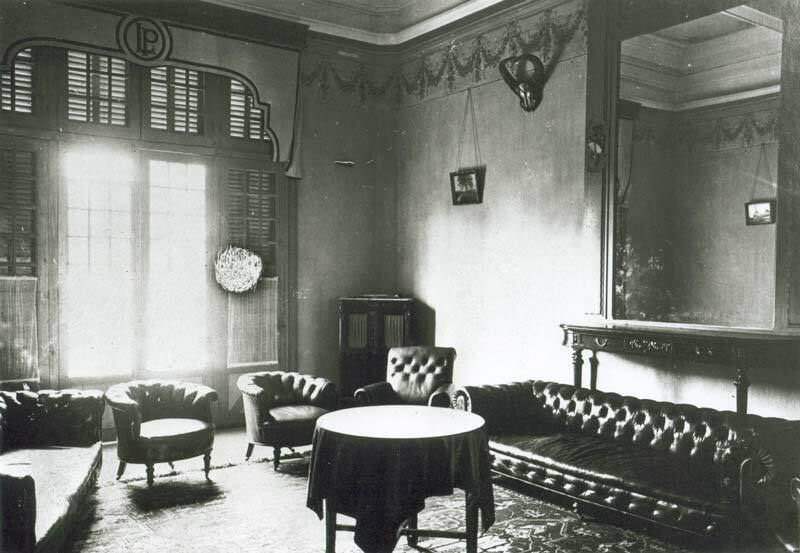 CPG: How did you get started with the Dalat Palace Hotel? At the time, Barry Israel was handling the Dalat Palace Hotel, managing the inheritance of the late billionaire Larry Hillblom - the “H” in DHL - who died mysteriously in a plane crash after spending $44 million on renovating the five-star hotel. CPG: Did Larry create Larry’s Bar in the Palace? Antoine: No we named the bar after him. He died in 1995. They never found his body. After Larry died the financing stopped. It was very tough for operations. It was a beautiful hotel with 250 staff but barely any customers going to Dalat these days. Barry managed pretty well to bring the business up. CPG: How did Barry manage to do that? Antoine: By hiring the right people. Like me [laughs]. But I was involved in hiring too. We had a good time. After 2002, the hotel was still losing money. The high society of Saigon were interested in going to Dalat for playing golf, and it was a nice destination for the weekend and holidays. I was general manager there from 2002-2008 and it was really wonderful. The great years; the palace was doing well there were a lot of customers, there was an American guy managing the golf club. We were a good team there. CPG: How do you know so much about Dalat? Antoine: There was a big event on November 17 in 2002 to celebrate the 80 year anniversary of the Palace. We invited many people, many journalists from abroad, and we had artists coming. And I just had one month to prepare, and I had to do everything in that time, including having a tuxedo made because it was a black tie event. It was an amazing event. I had to present the history of Dalat and the history of the Dalat Palace Hotel to the journalists and answer their questions. I had zero knowledge back then. Luckily we had some prominent invitees, including Dr. Hach who helped set up the golf course in the 1950s. He was in his 90s at the time, but when we spoke French - not his mother language, but easier for him than English - it helped him get back into spirit and I was able to find out more about the history of Dalat and the Palace. CPG: Did Dr. Hach found the golf club in 1954? Antoine: It was first founded for Bao Dai when he came back from France. I traced Bao Dai all the way to Le Touquet, which is a French resort in the north coast of France, where he went to play golf. Le Touquet and Dalat are really sister cities. It’s unbelievable, in terms of the villas, the architecture. One’s by the sea and one’s in the central highlands. The French city inspired the style of the villas in Dalat and the city’s first Golf Club House. CPG: So Bao Dai brought over Le Touquet’s style to Dalat? Antoine: Yes, including the palaces. Palace II and Palace III were under construction in those days. There was a lot of modification to the Bao Dai Palace, on the request of Bao Dai’s wife, Nam Phuong. I know a lot of stories - I’ve seen letters that Nam Phuong wrote to the architect. I traced the architect of the palaces. 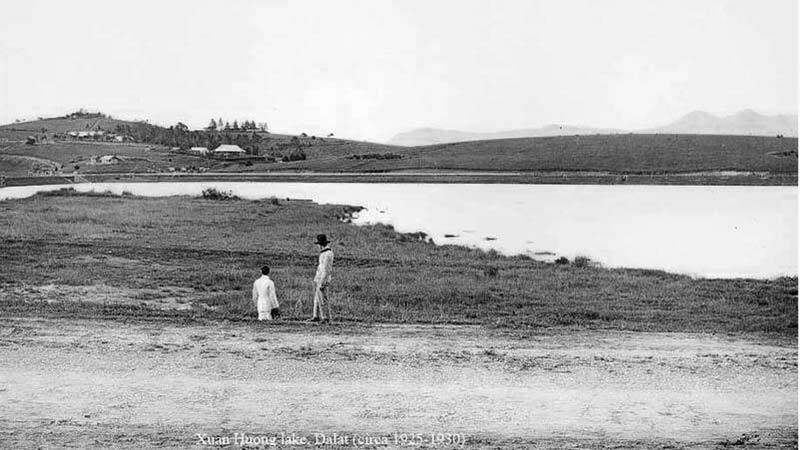 The sons of the architect lived in Dalat as kids. I met them in France, traced them all the way to a suburb of Paris, where they showed me the old Palace III drawings from their father. Palace III has now been turned into a museum. CPG: Are you the only one that knows this much about Dalat? In 2000-2007, we had among our guests a lot of old French people who knew the old days in Dalat. A lot of them were actually born in Dalat, because it was more healthy for the women to give birth here rather in Saigon, where it was more humid and filthy at that time. Even the Vietnamese from high society would come here to give birth. I have a pretty incredible story about the younger son of the architect of Palace II and Palace III, Veysseyre. Palace I, by the way, was never built for Bao Dai - it was acquired by Bao Dai from a rich French guy, Bourgery, who had a private electricity company providing power to the city of Saigon and the French concession in Shanghai. He was very rich. CPG: And the son of the architect? Antoine: He had a disease that was eating his nervous system. He couldn’t do anything, just count the days and live as long as he could. His brother told me he was coming to visit Dalat and I told him I’d take care of everything. He was in his last months when he could travel and move. He came to Dalat for the last time before he died. I went to pick him up at the airport and took him around and showed him all the work his father had done. He was the younger son, so he was born in his father’s last years in Dalat. I showed him the house his father designed and built in 1940, where his father had his architecture design study room (16 Tran Hung Dao). I showed him where he was probably born. It was extremely emotional for him, and for me. He was looking at his origin in life, knowing he had a few months to live. He died two months later, there was nothing anybody could do. You know of course, the Ana Mandara Villas Dalat resort. Ten of the villas are from Paul Veysseyre. They were ordered by a certain Mr. David from Saigon, who was in the real estate business. I showed the 10 villas of Paul Veysseyre to his son. I took him from villa to villa with the help of the general manager. I gave Ana Mandara some information about the villas, but now what they say is wrong. I read the information they had, told them these were built from this year to this year. The Le Lai hill was built from 1940 to 1944 during the Second World War, not before. It was a real estate development. In the 50s, 60s and 70s these villas were the houses given to the teachers of the French schools. Somebody told me that their French teacher lived there in 1974. Twenty years after the French left, there was still some education and cultural exchange between France and Vietnam. In terms of culture, education and health, the French maintained good relations with both the North and South governments. Even during the Vietnam War, in the hospital in Hanoi, French doctors were helping the Viet Cong. Very few people know about this. 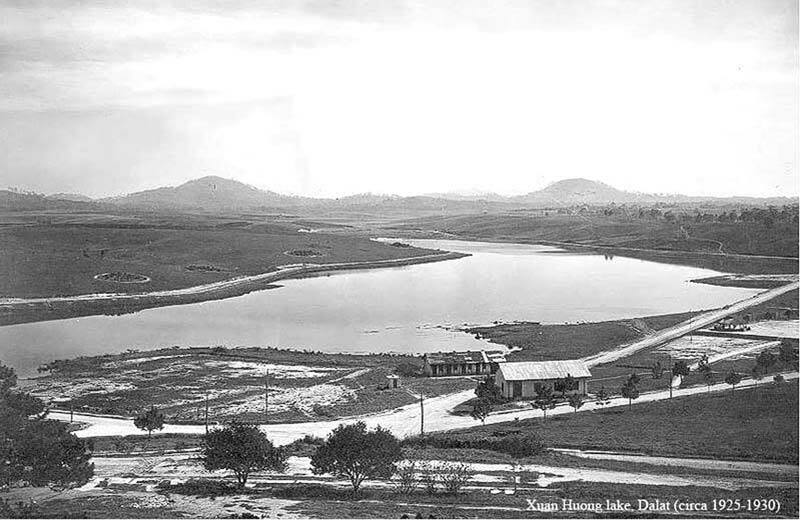 The big years of development for Dalat were during the Second World War. It started in 1939 and by 1940, the governor of Indochina, Admiral Jean Decoux, took his local government to Dalat, not Saigon. During this time the French could not go back to their country. 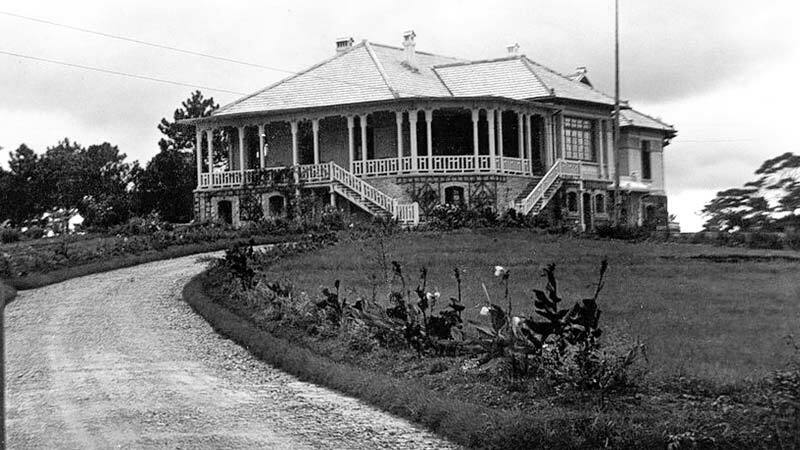 They started to build villas so they could have a holiday house in Dalat and they followed Admiral Decoux’s government. During these years the construction of Villas increased but some of the Villa on Tran Hung Dao were actually built before 1940. 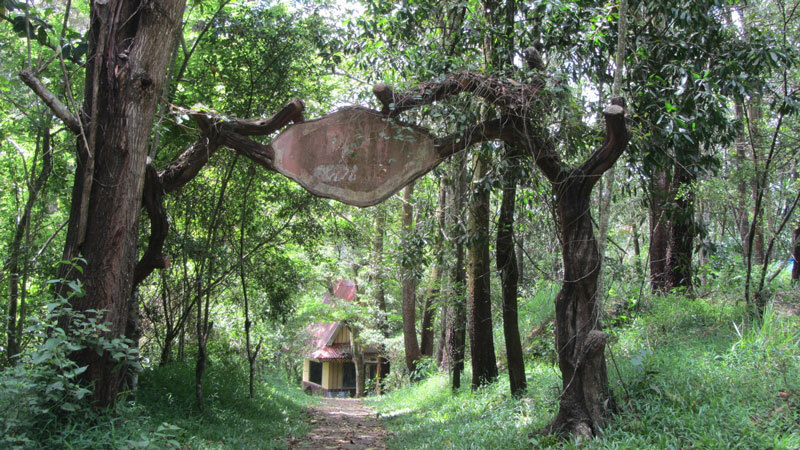 The Villa 27 was built in 1937 for the Director of the KATEKA company, a large rubber plantation in Dong Nai. The most unusual fact about Dalat was that it was built from zero. Whereas all the other cities in Vietnam were all cities or villages that were developed already. Dalat was from nothing. They started to design and build a city using some of the first city planners. They had a blank sheet and that’s what they had to design the city from. One of the oldest buildings there is the house of the governor, which is now the office of the People’s Committee, at 04 Tran Hung Dao street. In those days, they had wooden houses built on stilts because there was a lot of wildlife, especially tigers. You had to lock all your doors otherwise you had some animals coming in at night. CPG: Was the wildlife still there in the 1950s? Antoine: The French had a regulation on this. You only had a few months in the year to go hunting. It was well monitored to make it sustainable. The animals disappeared during the Second World War, when people were so hungry they ate anything they could kill. Even the swans. There were once swans in Xuan Huong Lake, very beautiful. I asked the People’s Committee if we can have swans there again, and they said they wouldn’t last a week, they’d end up in a stew [laughs]. So now the swans are all plastic pedal boats. 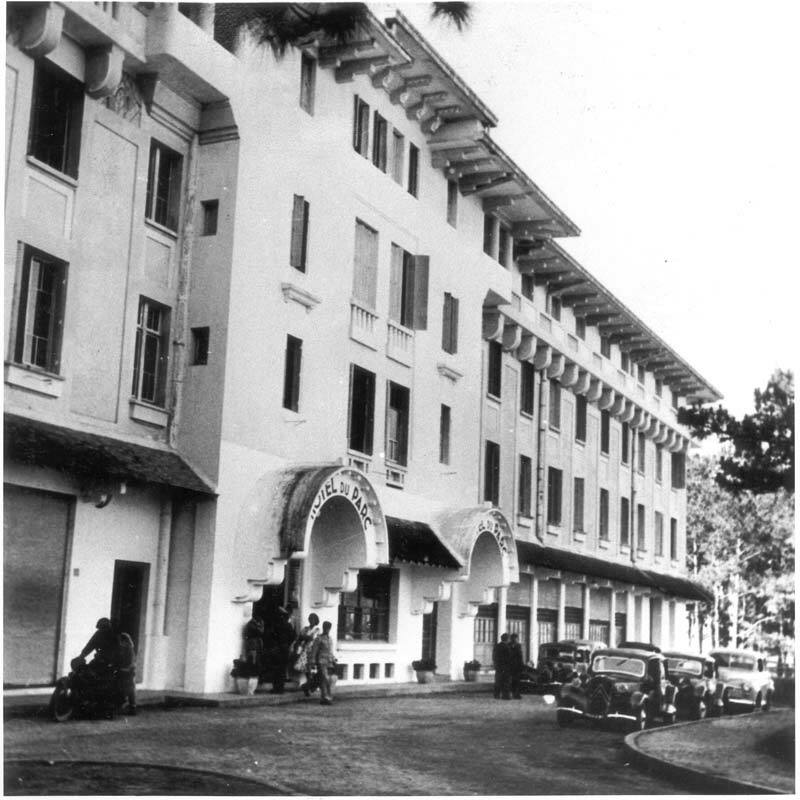 CPG: When was the Dalat Palace Hotel really built? 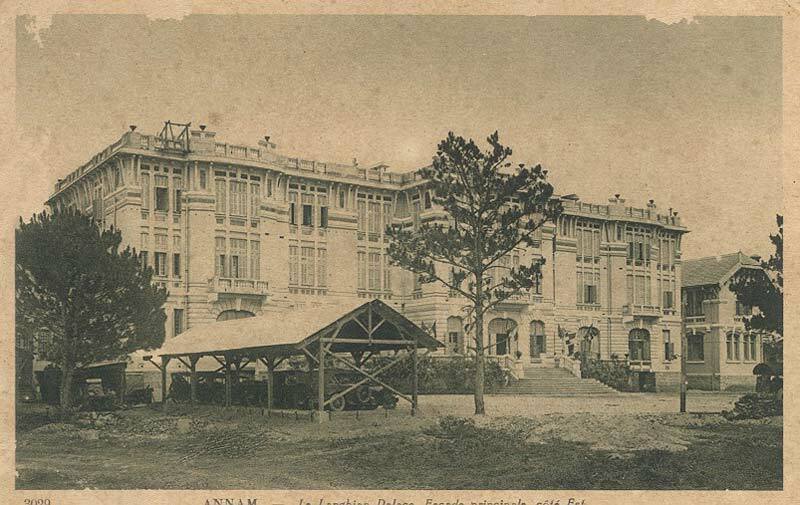 The first drawings of the Dalat Palace Hotel are dated 1914, before the First World War. After the war started, construction began in 1916 and finished in 1922. They were almost finished before 1921, but it was only this year that they received electricity. During this time there were a lot of people from Hue there. The French brought over the people of Hue to Dalat because they were very good at growing vegetables. They were moving people around, they called them “coolies”. It was the colonial times. In 1937 you had the second round of people from Hue coming in. They were following Emperor Bao Dai from the imperial city of Hue. CPG: What was Bao Dai like in person? Antoine: Well, he was raised in France during his youth. Very wealthy, he liked women a lot, kind of like a Gatsby character [laughs]. Did you know the Dalat palace was built using elephants? There were elephants everywhere. They brought everything by elephant, there were no roads yet in 1917, 1918. So you had to bring all the equipment, all the bulbs, the lamps, the silverware, the plates by elephants. Can you imagine? 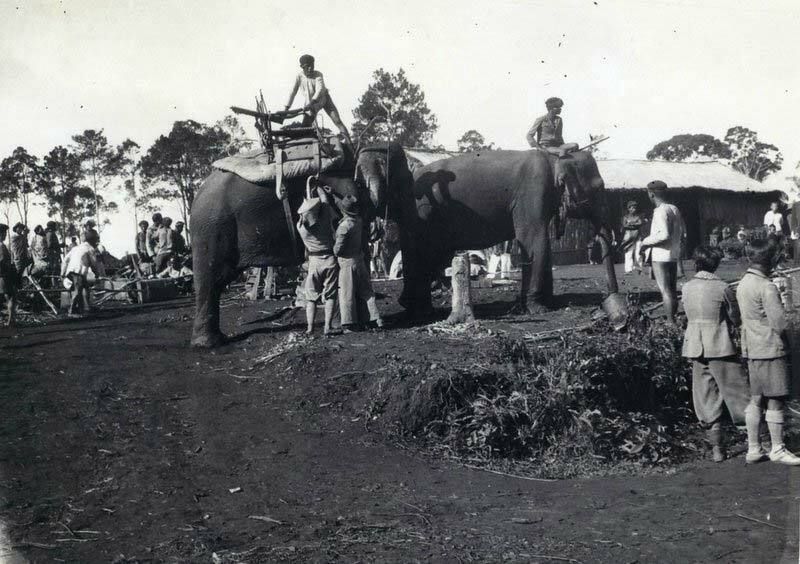 Using elephants to build a luxury hotel in the middle of nowhere in Indochina. The hotel was built before the city. There was no city, just the hotel. CPG: Any interesting revolutionary stories? After the 15th of August, 1945, when the Japanese surrendered. The headquarters of the Japanese Southern Asian army where in Dalat, at the Dalat Palace Hotel. The staff were serving the Japanese, they tried to take advantage of that and steal their weapons at the Yersin school. It was some of the staff at the palace and the service staff. I met the maitre d’hotel of the Palace at that time in 2003, he’s probably dead now, and he told me the story. Antoine: No, they got arrested by the Japanese. CPG: Are there any secret places in Dalat that might not be well known? There is a safety bunker behind Palace I, and that was built in the 1960s, I think. There were some high-ranking people staying there at that time. In case of any aerial attack by the Americans, they could have gone to that basement. It was last used by some government people of the socialist republic of Vietnam, when there was tension between China and Vietnam, sometimes after 1979. China was very angry with Vietnam at the time. There was almost war. Sometime in the 1980s the officials in Palace I counted on this bunker in case of an attack. That was the last time it was used - somebody who was there told me this. CPG: What about Dalat today? 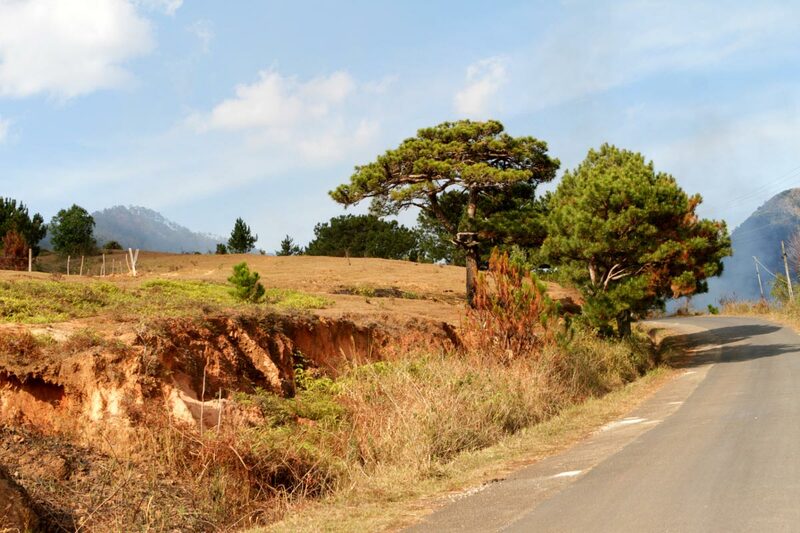 Antoine: For many foreigners, going to Dalat is like watching a movie without the sound. You don’t know what’s going on. CPG: You should write a book about Dalat. Today, my partner and I left our hotel in Dalat early for a trekking tour to Langbiang mountain, a famous landmark in Dalat. 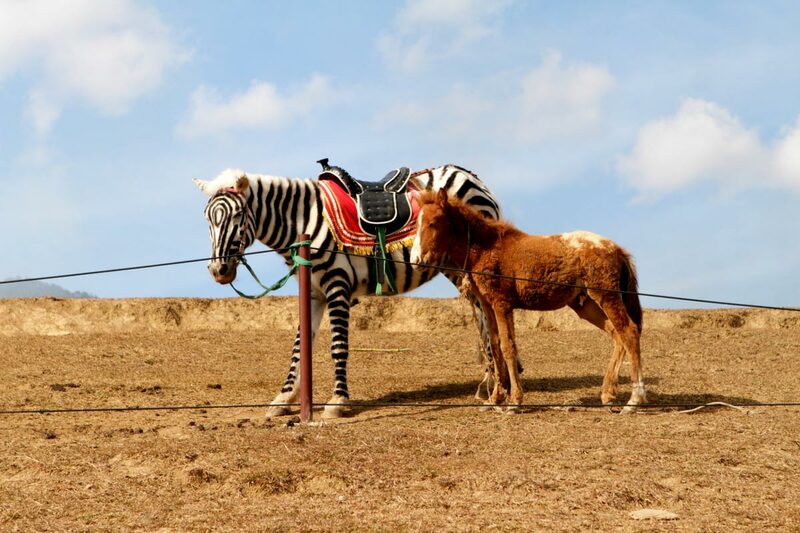 When planning activities in Dalat during your travels, you may want to incorporate a Langbiang mountain tour, where the “zebras” roam. You can do it two ways: the lazy way and the adventurous way. 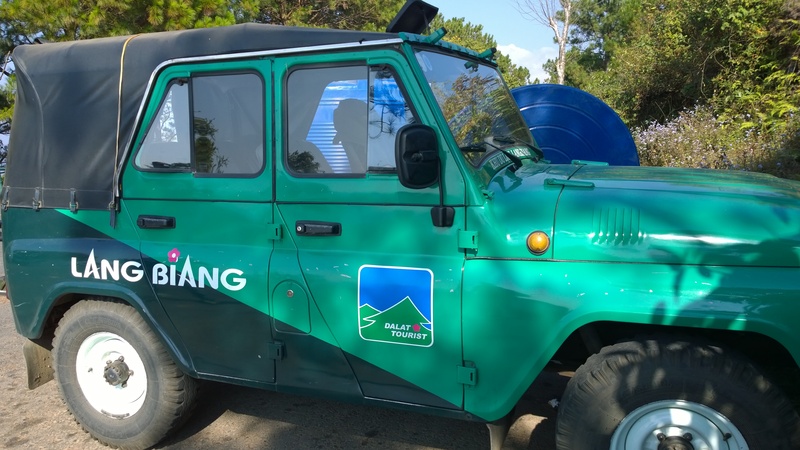 You can take a bus/taxi/motorbike to the foot of Langbiang mountain and from there you go by jeep to the first peak – a former radar station with tourist spots like the restaurant with eclectic meats, some photo ops and a nice view of the Dalat landscape. But there is the second option for the more sporty – the trekking tour! We got up early, left our hotel in Dalat city, poured down one of those pitch black Vietnamese coffees at a roadside café and hopped on a motorbike. Once you get out of the city, you follow a curving mountain road that would qualify as one of the great routes for motorbike tours, if it wasn't for the loose chippings. Thanks to them, you should proceed with care. There are various spots on the road that invite you to pause for a moment and enjoy the fantastic view of the Dalat highlands. On the opposite side of the valley, you see a long row of burial monuments and, of course, the omnipresent signs of intensive agriculture. Dalat is Saigon's main source of vegetables, and once you’re there you can see why. One farm next to the other, glass houses, fields... if there is a flat plot of land, they grow food on it. We arrived at the foot of the mountain and instantly recognized the “Langbiang” trademark alongside the first hill. We parked the motorbike and began our trekking tour. The souvenir shops were not open yet and the old K'Ho women were still making their way to the entrance area. Several ladies were already at work, saddling horses and... zebras?? Indeed, they painted the lighter horses with meandering black stripes. You see, in this case, the Asian mentality differs from ours. A fake zebra is better than an unimposing horse, which is exactly my opinion as well, because it made me smile. We began our hike up the mountain along the main road. At first, we were mostly alone and enjoyed the fresh air and the soothing, green and brown pine forest of the Dalat highlands. From time to time a ranger on a motorbike popped in and on one occasion we saw a K'Ho man mounted on a horse, herding a small group of horses. Among them was one of our lovely zebras. Langbiang mountain is actually located in the Lac Duong District of Dalat. The parking lot at the foot of the mountain is about 12 km away from Dalat city and the entrance fee is 20.000đ, which is okay. The landmark is a popular tourist spot, especially among sporty foreign tourists and Vietnamese honeymooners. The latter appreciate the romantic tragedy of K'Lang and Ho Biang, which is a Vietnamese Romeo-and-Juliet-ish story that explains the history of how the K'Ho ethnic minority emerged from two warring tribes. You can read it in full on our official Langbiang page. After an hour or so, we reached the crossroads. To the left you can get to the above mentioned tourist spot with the mediocre restaurant, to the right the road turns into a rocky mountain trail. There is a ranger station where you can hire a K'Ho tour guide. They tell you it's dangerous and you may get lost if you walk alone, but that's nonsense. The path is easy to follow and leads up to the peak, which you can reach in less than two hours if the weather is right. On the other hand, one of these guides may provide interesting information and friendly company during the ascent... it's the land of their people after all and the one I met spoke pretty decent English. I guess when undertaking activities in Dalat, getting involved with the ethnic minorities is not a bad idea. The trek to the Langbiang peak lead us through beautiful jungle vegetation, over rocky ground, and past small ravines washed out from the limestone over the years. The air is filled with the smell of the forest and songs of early birds. Several small groups of tourists were already on their descent and we greeted each other cheerfully. After a while we reached the peak. The view towards Dalat city was not exactly breathtaking, but it was nice. The highlands were covered with a coat of low clouds that looked like a silver ocean. Occasionally a crag, actually the peak of a mountain hidden in the clouds, broke through the surface. Despite the early time, we shared the grassy spot with a few people. After eating the brunch we bought in Dalat in the morning, we relaxed for about 20 minutes before embarking on the descent. On the way towards the foot of the mountain we encountered significantly more tourists than before, and as our track joined with the main road again, we had to step aside for a jeep every 10 minutes or so. But we reached the parking lot swiftly and without incident. Now the old K'Ho women were actively selling their colorful merchandise. We had a chat with one of them in Vietnamese, and she told us the sad history of her people, how they got fooled by city folk to sell their best land at a cheap price. Nowadays they are stuck with the steep and less arable lands on the mountain slopes. The Langbiang tour is one of my recommended activities in Dalat: It is one of the most beautiful landscapes in the highlands, the view is stunning and the background story of the mountain is a lovely mix of legend. If you go by motorbike and take your time on the tour, you might witness an emotional sunset on your way back to Dalat city.